If you think about it, the most grueling part of the car-buying process, after agreeing on a price, is acquiring the right kind of loan for your new or used car. Most consumers enter the car dealership completely unprepared for the loan application process, and that lack of knowledge and planning is costing them millions of dollars every year. 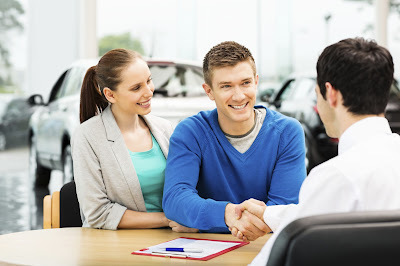 If you want to create a win-win situation for you and the car dealership you purchase your car from, there are five steps to take before you sit down at the negotiation table: get your credit report, surf before buying, go local, speak the language and be prepared to negotiate. You can’t pick up a personal finance article, magazine or book that does not refer to the importance of knowing what is on your credit report. Despite the fact that modern media has been beating us over the head with this advice for the past couple of decades, most people do not know their credit score or check their credit report on a regular basis. You can get a copy of your report by directly contacting the three credit bureaus: <a href="http://www.equifax.com/" target="_blank">Equifax</a>, <a href="http://www.transunion.com/" target="_blank">TransUnion</a> and <a href="http://www.experian.com/" target="_blank">Experian</a> (formerly TRW). Not knowing your credit score and the details of your credit report before applying for a car loan is a monumental mistake. You want to have any blemishes on your report resolved before you apply for a car loan, because the results of your lender’s credit inquiry directly impact your interest rate. Your credit report includes: basic information about you – name, address, social security number, etc. ; your late payments, any outstanding debts you have, the amount of credit available to you; any public records on you such as judgments and bankruptcies; and inquiries into your credit from potential employers or lenders. You’ll be far less tempted to impulse buy, driving away from the car dealership with a car you can’t afford if you have established boundaries in your mind before you begin. There are many national auto websites, but did you know that many local car dealerships are now online as well? The advantage of working with a local car dealership can outweigh working with the manufacturer or a national website when you want the best in quality customer service, a relationship for the lifetime of your car and the best deal on your auto loan. The advantages of getting a loan through a local dealership is similar to the reason every town in America has a locally-owned restaurant that has regulars: local businesses have a sincere investment in the community. That interest often leads to better customer service, a more customized approach to selling, and the ability to get you a better loan than you will receive from a lender who doesn’t know – or care – who you are. Lastly, the local dealership may have more than one location, increasing your options for finding the car you need but offering the same uniform auto financing options. For example, <a href="http://www.conklincarssalina.com/" target="_blank">Conklin Cars Salina</a>, a car dealer in Kansas, is also a <a href="http://www.conklincarshutchinson.com/" target="_blank">Hutchinson car dealer</a> and a <a href="http://www.conklincarsnewton.com/" target="_blank">Newton car dealer</a>. So, if a customer goes to one dealership and does not find what they need, they can visit another location and expect the same quality customer service. There’s nothing more frustrating than going through the entire car-buying process, thinking you have a good deal, and learning down the road that you were taken advantage of – simply because you had no idea what your sales rep was talking about. From <a href="http://www.bankrate.com/brm/news/auto/20020909b.asp" target="_blank">dealer holdback to Rule of 78s </a>, make sure you have an understanding of some of the basic industry terms that could be thrown at you during your transaction. With this knowledge, you won’t misunderstand the details or find yourself being signing a contract or paperwork that you don’t understand. If you’ve followed the four previous steps in this article, you will be armed with the necessary tools to negotiate the best rate possible for your car loan. There’s nothing wrong with shopping around and checking with other lenders to see what kind of rate they can offer you, but you must remember that numerous inquiries into your credit report may go against you. Before you sit down to get your next auto loan, take the time to do a little homework so that you can feel confident about securing the best deal for your auto loan. Investing a little time and effort before making the deal can go a long way in creating a win-win situation for you and the car dealership. Great post. Get private party car loans at affordable rates in Canada. CarLoanApproval offers private party car loans at affordable rates online. Visit us to get more. We offer services 24/7. You can also consider Exclusive Limousines for Limo Hire Melbourne one of the leading luxury car rental service at affordable price.